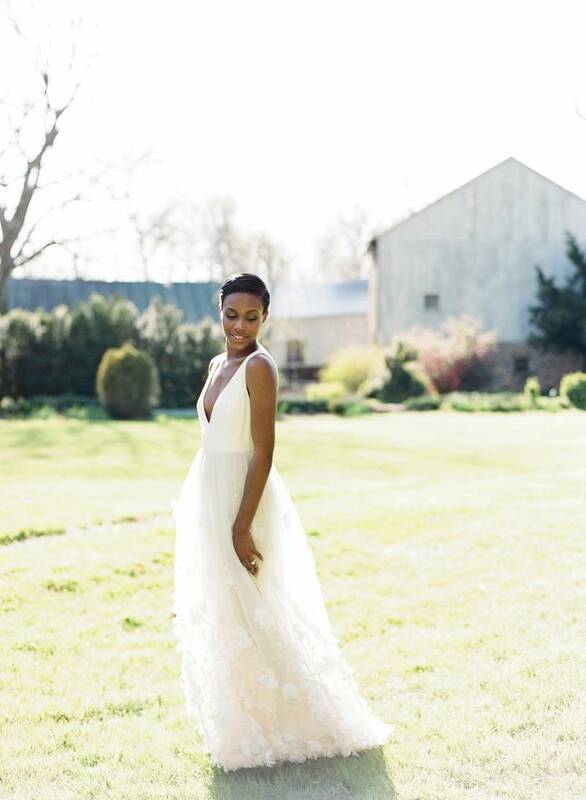 This late spring shoot by the immensely talented ELISA BRICKER took place in the little town of Purcellville, Virginia - not far from Washington, D.C. but a world away in look and feel. 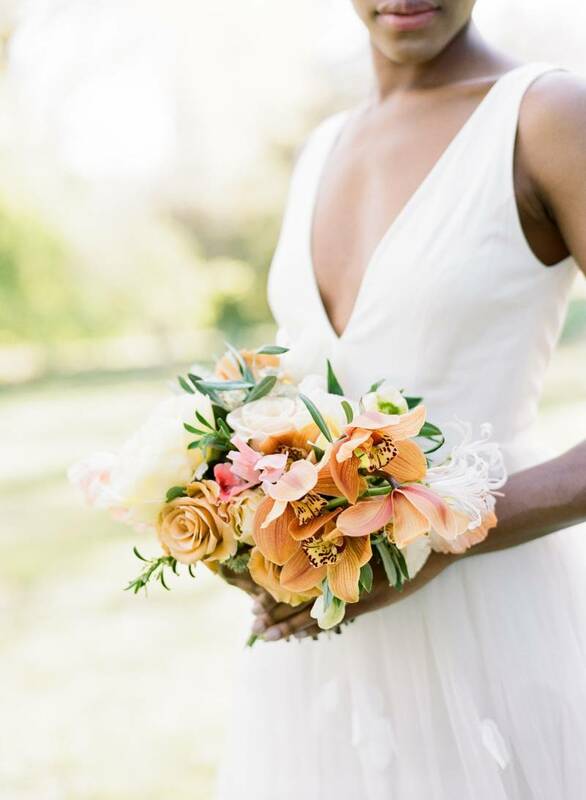 MALLORY JOYCE created a unique bouquet composed of yellow, pink, soft peach, and orange blooms. 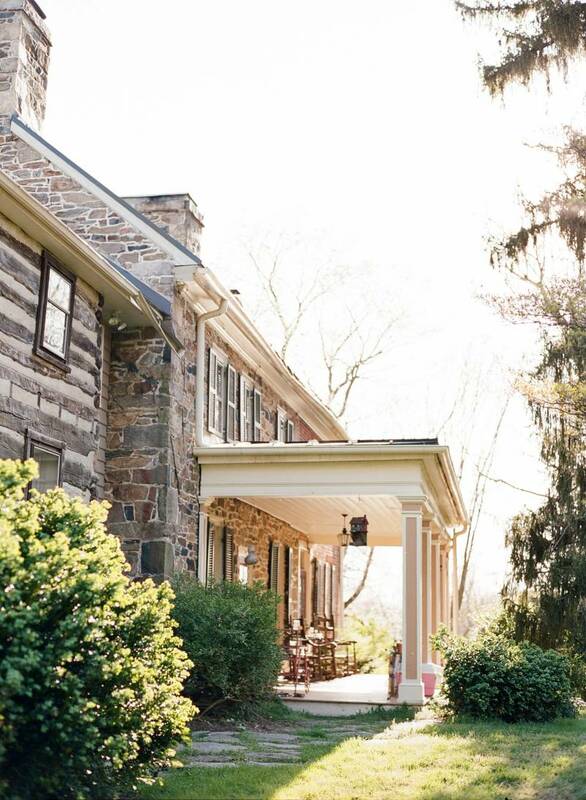 The historic B&B is nestled in the woods and fields by the Blue Ridge Mountains. "It's a quiet, peaceful place that was perfect for this bridal portrait session. We wanted to have a very relaxed feeling for this session, and to evoke a feeling of organic beauty and focus on natural movement." 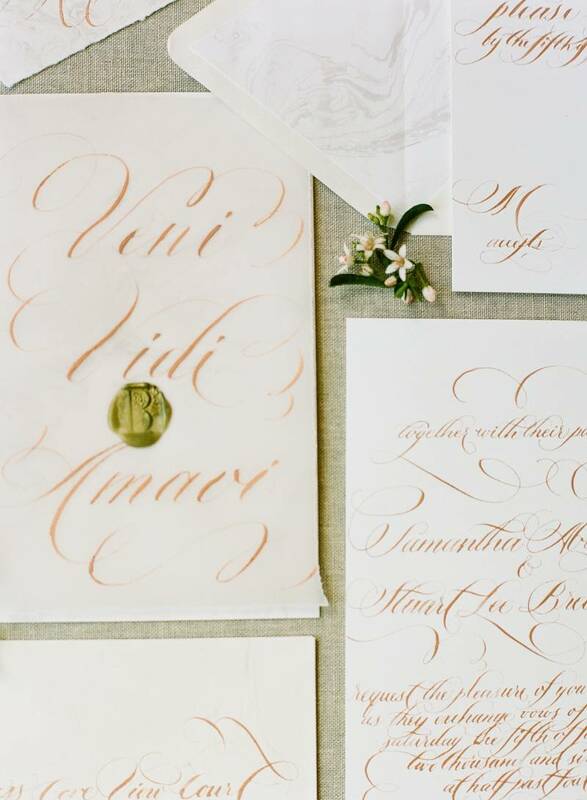 Wearing a stunning ALEXANDRA GRECCO gown , the shoot also features beautifully elegant paper goods by DESIGN HOUSE OF MOIRA.